Afton: "Well I guess pattern mix and weird colors: red and brown. I like to mix them together." Davis: "Comfort and longevity, ergo the leather jacket." I admire Afton's skill at layering colors and patterns. Visually I like the contrast between what Afton and Davis are wearing. 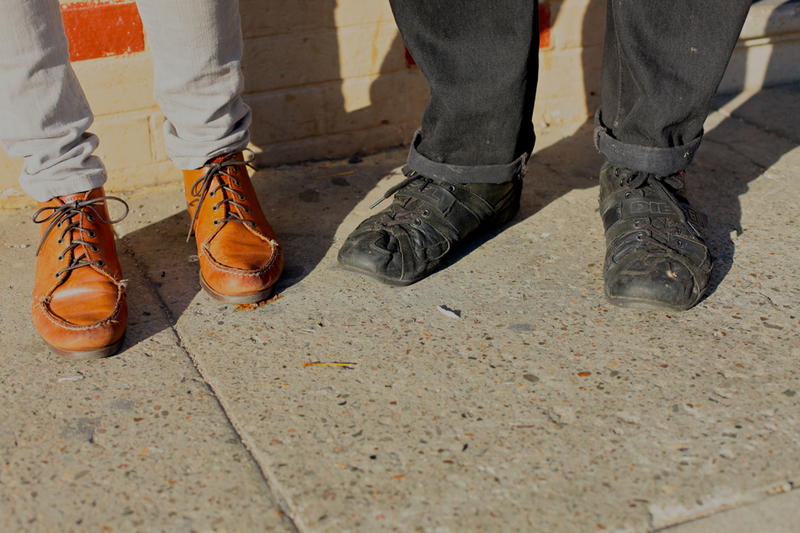 A look at their sturdy yet stylish shoes. Love Afton's style. She looks like Jessica Alba in that first picture.